A flabby fanny may be caused by aging, genetics, or extreme weight loss. 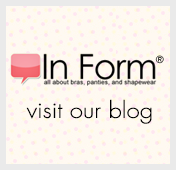 Our shapewear fabrics have high stretch and comeback ability. So what does this mean for a flabby fanny? Our rear-covering shapers automatically firm your tush. In addition, this category includes bottoms that will lift or pad your derriere.